Hello! 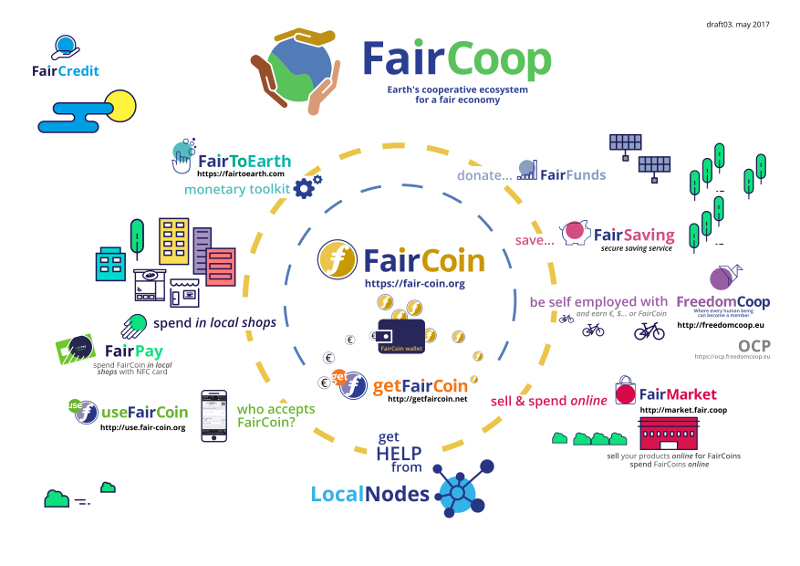 this document is a brief introduction to what FairCoop's ecosystem is about, how it operates and how it is organized; and also to the ways of communicating it uses, which vary depending on the situation and the projects involved. Everybody who embraces FairCoop's values may participate freely and cooperate, but please do take some time and read this guide carefully beforehand. In the meantime, don't hesitate to ask us any question and get involved as soon as you're ready! Main website is https://fair.coop/ which you will find in the following languages. ...there is a LOT of information on the projects and tools we share and are continuing to build. It's normal at first to feel overwhelmed by so much content, technicalities and new concepts that you may not understand perfectly at first. . There is a version of telegram web that you can use from any computer and web browser without any installation. Please use this link to get started - this is a group called 'FairCoop: Ask Us Anything', and from here we can guide you into any other groups you might need to access. FairMarket - An online market platform using FairCoin. FairSaving - Safe and ethical savings service at FairCoop. FairToEarth - A financial toolkit to facilitate the connection between FairCoin and other alternative or fiat currency worldwide. FreedomCoop - A Europe-wide self-employment cooperative linked to FairCoin. getFairCoin - The FairCoop service to buy FairCoin online. useFairCoin - A directory to find out where and how you can use your FairCoin.